Clinical Associate Professor Beth Cate’s expertise includes intellectual property law, data governance, research regulation, and constitutional law. Before joining the faculty of Indiana University's School of Public and Environmental Affairs, she practiced law in the public and private sectors for 20 years. Her professional experience includes a two-year clerkship with the Federal Circuit Court of Appeals; litigation and international trade work in the Washington, D.C. firm of McKenna & Cuneo (now part of Dentons LLC); regulatory work as in-house counsel to Eli Lilly and Company; and regulatory and constitutional advising and litigation management as Associate General Counsel to Indiana University. At SPEA, she teaches graduate and undergraduate courses at the intersection of law, public policy, and public administration. These include a graduate seminar on strategic litigation to advance public policy interests, and undergraduate courses on information law and policy and on the role of religion in American law and public life. She serves as the lead instructor for SPEA’s core undergraduate law course and the faculty coordinator for an undergraduate major in Law and Public Policy. With Fred H. Cate, she has co-authored “The Supreme Court and Information Privacy,” in Bulk Surveillance: Systematic Government Access to Private Sector Data, James X. Dempsey and Fred H. Cate eds. (Oxford Univ. Press 2018). An earlier version of the chapter appeared as an article in the journal International Data Privacy Law. She is currently working with Fred Cate on a book about the Supreme Court’s privacy jurisprudence, and (solo) on an article addressing the future of student records privacy. 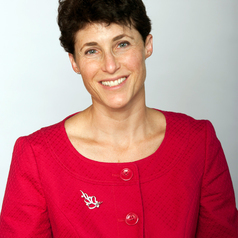 Prof. Cate authored two entries in Springer’s Global Encyclopedia of Public Administration, Public Policy, and Governance, entitled “Constitutional Rights of Public Employees” and “Constitutional Intersection of Civil Liberty and Public Administration.” She also co-authored, with Andrea Need, “Correcting the System of Unequal Justice,” in Tavis Smiley’s 2016 book Covenant With Black America—Ten Years Later. Prof. Cate has long been interested in how intellectual property rules affect public access to information and education. She is presently working on a chapter for a new Elgar handbook on intellectual property law and technology transfer. In 2017 Cate presented on copyright law at an international intellectual property law workshop co-hosted by Oxford University and Indiana University. She regularly presents on intellectual property issues at the annual conference of the National Association of College and University Attorneys.